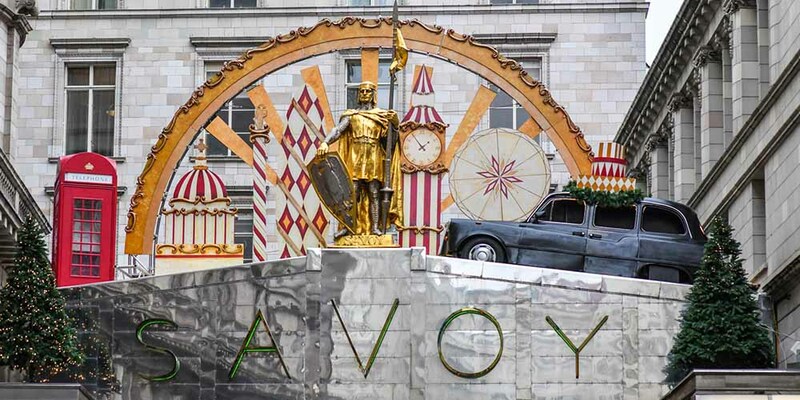 This festive season, The Savoy celebrates ‘All the Fun of the Fair’, with decorations inspired by the spectacle, experience and illusion of traditional British fairgrounds. 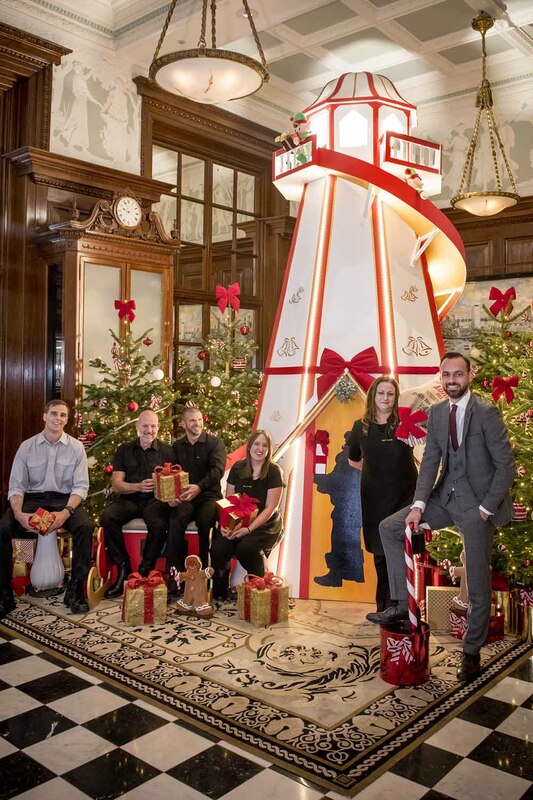 A talented team of Savoy colleagues across the florist, carpentry and engineering teams have been working hard (and in secret) over the past three months, finally bringing everything together throughout the night on Saturday 24 November to transform the entire hotel into a festive fairground. On Sunday morning, guests woke up to ‘All the Fun of the Fair’, with the highlight being an interactive helter skelter standing 15ft tall in the Front Hall in place of a more traditional tree. From left to right: Sam Beer, carpenter; Marcus Van Nieuwenhuizen, rooms engineering supervisor; Daniel Moughton, electrical supervisor; Liah Grice, florist; Belinda Bowles, head florist; Ian Kidd, hotel manager. Above the famous Savoy sign sits a striking display featuring an illuminated and hand-painted skyline scene of iconic London landmarks, reimagined as popular fairground attractions; St Paul’s has become a carousel, the Gherkin reinvented as a helter skelter, and the London Eye transformed into a ferris wheel. 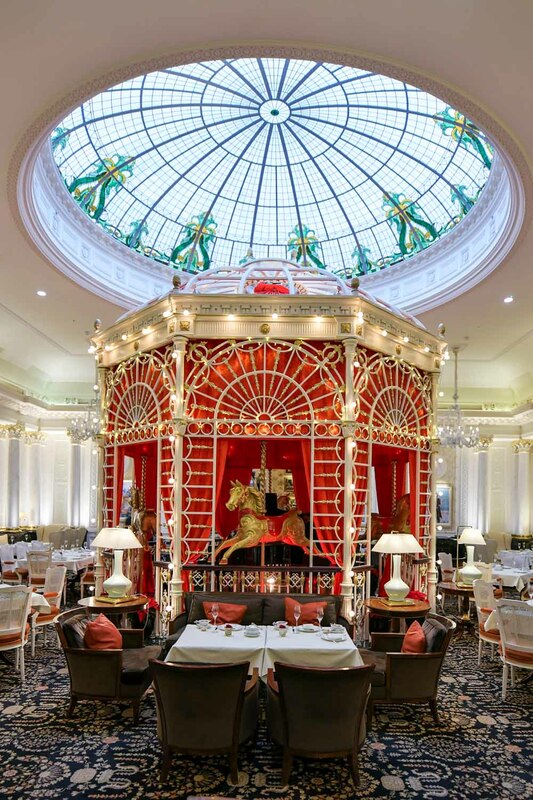 Taking centre stage in the Thames Foyer, the heart of the hotel and where guests will enjoy The Savoy’s festive afternoon tea, is a beautiful carousel with a red and gold ‘circus top’, bespoke horses and twinkly lighting.